Before you can successfully hunt any animal, you should know their habits, how they behave, what they eat, and of course, where they’re most likely to be found. This is especially true of the coyote, which is now found almost everywhere in North America. There is one species of coyote, though there are 19 sub-species, ranging from the Mexican and Lower Rio Grande coyotes to the Mountain and Northwest sub-species. There are reports of this clever member of the dog family as far south as Panama, in Central America. They are excellent at adapting to the changing landscape, first living in the prairie and desert regions, but moving to mountain areas and thick forests. You may even see coyotes in and around larger towns and cities, as they adapt their diet to whatever is available. Known for hunting rabbits, rodents, frogs, fish, snakes and deer, they will eat both fruit and carrion. 1 Are They a Pest? Because the coyote is so good at adapting to any environment, they sometimes kill livestock, especially lambs and calves. Ranchers and farmers consider them to be destructive pests, for obvious reasons. A coyote has outstanding vision and a strong sense of smell, making them a challenging target for the hunt. In addition, they can run as fast as 40 mph. Coyotes live in family groups, with females giving birth to litters in the spring. A litter may be as small as three but can include as many as a dozen pups. The youngest members of the tightly bonding family will be ready to hunt in a matter of six months. They are smaller than wolves and are recognized for their distinctive chorus, howling at night to communicate. Hunting at night can be exciting and rewarding, but it’s extremely important to focus on safety when you’re after coyotes. It’s also essential to know the regulations on hunting predators. Laws vary from one state to another, so you should take a few minutes to learn the details. You may need a permit and you may be restricted to hunting at certain times of the year. In fact, some areas don’t allow night hunting. 1. Weapon – Veterans understand that the gear used for hunting differs from one animal to another. When you’re hunting coyotes at night, there are certain items you should take along and other items you should leave behind. Obviously you’re going to need a weapon – the right weapon. The key choices include the AR15 and the shotgun as well as the .223 bolt-action rifle. 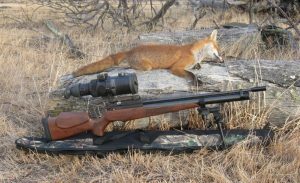 Some hunters prefer to use a high-end air rifle, which can be sufficient for coyote but doesn’t cost as much as the rifle or shotgun. If you decide to use a shotgun, you should have success with No. 4 buckshot. 2. Call the Coyote – You may want to consider investing in a good call or two, both electronic or mouth call. With the electronic call, your hands can be free to make movements necessary to get a shot. Keep in mind the intelligence of the coyote when getting into position and using this call. The predator will focus on the source of the sound. When you start shopping for a mouth call, you may be confused, if not overwhelmed. Consider a call that emulates a fawn in distress to attract the coyote’s attention. Hunters also have success with howl calls or calls that sound like a young coyote “yipping.” Depending on your hunting location, you may have to do a bit of trial-and-error to find the calls that work for you. Even if you’re hunting at night, it’s important to keep yourself undercover. Coyotes can be skittish but are also quite savvy when they see or hear something that is not normal for them. Most successful hunters will cover their hands, in addition to wearing the right clothing for a night hunt. If you have a light skin tone it can stand out to an animal with good eyesight. Try to find gloves that are light and give you a good grip, keeping in mind the temperatures at the time of your hunt. 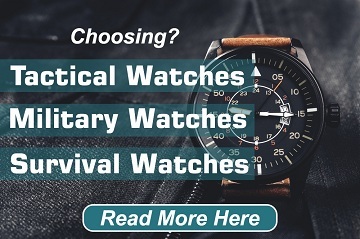 In fact, you should keep a cold-weather pair and warm-weather pair in your field bag at all times. The same advice applies to a face mask, especially if you’re hunting when there’s more light. 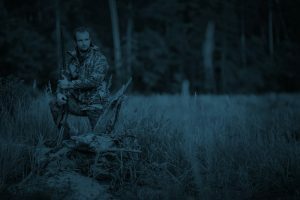 It may not be as important to wear camouflage when hunting at night, but you must still give serious thought to the clothing you’re going to wear. Choose lightweight cover that breathes and won’t pick up a lot of debris (sticks, twigs etc.). Unless you’re hunting in very cold weather, you may want to avoid the heavier suits. Shooting Stick – This is, of course, a personal choice. Some hunters prefer a mounted bi-pod while others choose a taller stick for night hunting. Be sure you choose a stick or pod that has a suitable V-rest or another top that fits your weapon. You may find the stick to be more convenient than a bi-pod for use at night. Decoy – Because coyotes are so smart and cautious, you may have difficulty getting them to come to a call. If they see something they associate with the sound, your chances are better. 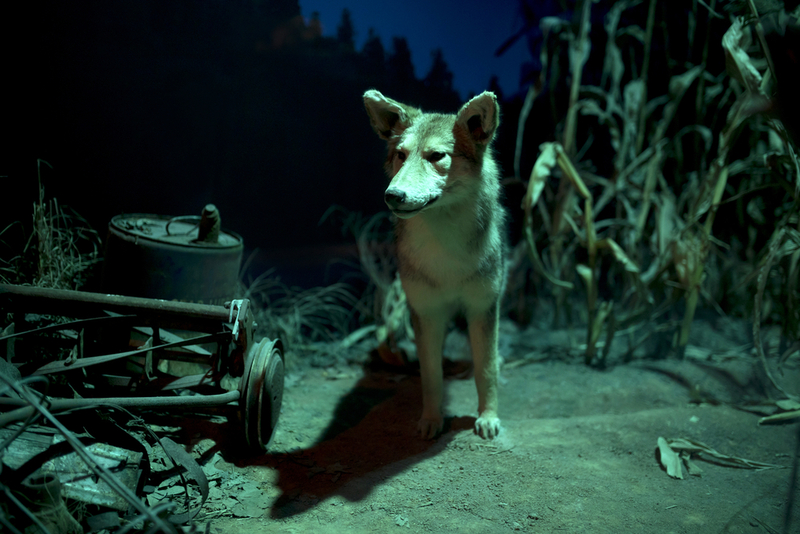 If the coyote senses no other predator or threat they may even charge the decoy. Experience shows that using a decoy properly may speed up the action. If you are just starting, you might want to stay away from this tactic, to slow things down a bit. Hunting coyotes is like finding the right real estate: location, location, location. Some places have already been over-hunted. As mentioned, these animals are quite savvy, so they will move to safer, more secluded locations. In addition, you’ll need to understand what type of habitat is best in your region. Scouting will be essential. You don’t want to rush this process, so go when the weather allows you time to relax and gather good information. Coyotes are stealthy animals in most situations, so you’ll need to be the same. If you’ve found a good location, be quiet when approaching the site and be quiet while you’re there. Night hunting laws vary, so you should take some time to know the details before you go. Coyote hunting at night can be a challenge but it can be very rewarding as well. Keep in mind this is a predator, and like other predators they will be active at night. They’ll feel safe and can even be a bit bolder under cover of darkness. This can be of tremendous benefit when calling a coyote. Pay attention to wind direction when selecting your spot, because this animal has a keen sense of smell. If you hunt with partners, make sure the idea of safety is at the top of your priority list. It’s more difficult to see at night, of course, so you should take an extra second or two when identifying your target. If you’re carrying a light and batteries, you should be extra careful with your movement. You’ll also have to shoot the coyote at a shorter distance than you might in the daylight. You may want to invest in a scope-mounted light to give you more freedom of movement. This helps you scan the area around you so you’ll be ready to shoot. A head-mounted light can be a great investment as well, since it will be pointing in the same direction as your rifle or shotgun. Many hunters prefer to call and shoot while standing, a great idea if you have a solid shooting stick or monopod. Night hunting does give you one advantage: The animal will not be able to see past the light source – you. You will still need to employ all your hunting skills at night, with adjustment for closer shots. Proper use of your light will also increase your chances of success. Once you spot glowing eyes of the coyote, try to hold the edge of the beam on the eyes for just enough light to keep them glowing. Once it’s time to shoot you can move the main beam onto the target. Don’t move from your spot for a few seconds, so you can get a good idea of the terrain. Having a partner can help in retrieving the coyote. Coyote hunting at night can be enjoyable if you prepare for it correctly. Follow these guidelines to increase your chances of bringing home one of these intelligent, fast animals. Use the right equipment and be smart. Good hunting!! It’s amazing to visit this site and reading the views of all friends about this post, while I am also zealous of getting experience.